Right now, my fifth graders are learning about dividing fractions. We are focusing on dividing unit fractions by whole numbers and whole numbers by unit fractions. My kids are picking it up quickly and are even able to easily draw and connect the models to the algorithms for dividing fractions. Today, I gave each student 3 small sheets of paper (about half the size of an index card). They had to come up with their own problem and write it on one card, write the solution on another card, and draw a corresponding model on the third card. The girls put theirs all in one basket. The boys put theirs in another basket. I let them switch baskets and put together the equations, solutions and models. What great practice for them! The picture below shows some of their work. You can click on the one shown for more examples. The best part right now is that I have a full set of 23 dividing fractions matching cards to use as intervention and enrichment, and I didn’t have to make them! What else can we use for Dr. Seuss’s birthday week? How about access to some of the short animations created over the years to showcase his work. And some people say YouTube is only full of cat videos and crashing skateboarders! As you might be planning for Dr. Seuss activities this week and beyond, here’s an idea for Wednesday… Wacky Wednesday! You can view the book as a scrolling option, as a slideshow or as a book. I can’t wait to share it with my kids on our projector screen for our book of the day. I’d love to hear their owns versions of a Wacky Wednesday! If you loved “Blossom” or if you love “Big Bang Theory,” this video is for you. If you want to pursue seemingly contradictory passions, this video is for you. If you work with kids who are trying to find themselves and their places in the world, this is for you. If you believe that we all have the potential to be exactly who we want to be, this is for you to share! I came across this letter today, and I wanted to share it. I find it humbling and challenging, exciting and daunting. I think it best reflects all that we do as teachers, things that so many people don’t understand that we do. I’ve done posts before about using Facebook templates for your students to create engaging and thought-provoking projects. Considering the focus in the Common Core State Standards on characterization, understanding point of view, and writing across genres, this really lends itself well to addressing these concepts. I just wanted to share this NEW Wonderful Free Facebook Template that I discovered this week! My kids love these quick Brain Breaks! They are all under 5 minutes and perfect for when your students (or kids at home) have been sitting for way too long. Did you know that 5 full steps sends freshly oxygenated blood all the way through your body? Get that brain refreshed and the mind and body ready to learn more! And check out these 20 great ideas from Minds in Bloom and these Energizers for the classroom! 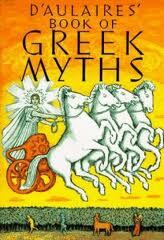 We are getting ready to start an integrated English/Language Arts unit on mythology, folktales, and legends. Our fifth graders have had a lot of exposure to folktales and legends over the years, so we are going to focus more heavily on the mythology component. I’ll admit it. I loved studying mythology as a child, and I love that one of my twins is devouring the Last Olympians and Heroes of Olympus series by Rick Riordin. Heck, my little one’s current favorite movie is even Disney’s Hercules. I wanted to go ahead and start organizing information for our unit, so I thought I’d share some of the favorite things I found. Webquest type activity with questions, lessons and pacing – good for an extension project! Dr. Seuss Day Is On the Way! It’s hard to believe, but Dr. Seuss’ birthday is coming up in just two weeks. If you are not an elementary school teacher, you may not realize that this holiday rivals Christmas and Valentine’s Day for the craziest holiday of the year. It’s hard to be upset though, when this one is based around a love of reading. Today, I thought I’d share some of my favorite resources for teaching about Dr. Seuss and his books! Last night, we held student led conferences at our school. It was a huge success, and my students had a great time preparing and organizing their work to share with their guests. One of the things that my students shared with their families was our class blog. They also had to talk with their parents about what they had learned about online safety. My students have used many of the resources that I shared in an earlier post, but I also wanted to share this video. It’s one of my favorites, as I think it really locks into a point in a meaningful way!